I've blogged about James Reilly, a 6-4 285 pound OL who has verbaled to UMass a couple of times before. Reilly recently was listed as #14 in Rivals Top-25 Prep recruits list. Rivals has him as two-star recruit. UPDATE 1: Dan Malone has a post on Reilly's early enrollment. UPDATE 2: Bob McGovern reports on Reilly's signing with the Minutemen. Matt Vautour looks back on his 2015 predictions and comments on what went wrong. Urban Meyer and Brian Kelley tout their time in the MAC. SB Nation says the MAC was the second-best mid-major league. Newsday says college football is staking a claim to New Year's Eve. Odell Beckham needs 146 yards in Sunday's game to break Victor Cruz's franchise record. James Ihedigbo is one of several Lions players who face an uncertain future. 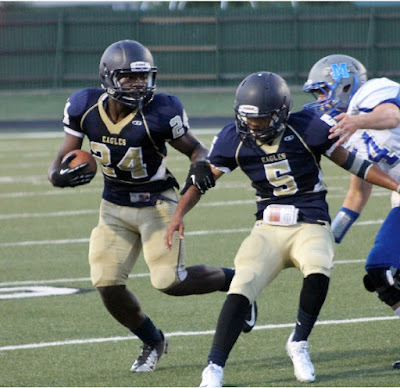 I've blogged several times before about Kevin Mensah, a 5-9 180 pound RB/Athlete from Worcester, MA. This article from 12/29/15 updates his recruiting. Boston College currently leads UMass. Mensah wears Emil Igwenagu's number at Holy Name. Bob McGovern reports UMass will have two more recruiting weekends in Amherst before Letter-of-Intent day. UMass did well in its "EPA Game Day" effort to recycle trash at McGuirk. And now, a new recruiting expense: custom graphics. ESPN says a Group-of-Five team has a "tricky, but possible" chance to make the college football playoffs. Will Chip Kelly return to college football? With Kelly gone, there probably will be some turnover in Eagles assistant coaches. Coaches with UMass ties include Mike Dawson, Jerry Assinaro and Brian Smith. I blogged before on Isaiah Rogers' verbaling to UMass. Hustle Belt has a post on Rodgers' commitment to the Minutemen. Dan Malone also has story on Rogers joining the Minutemen. Matty Vautour says the upcoming Big 12 vote may affect UMass football. Dan Malone reports UMass' recruiting strategy seems to be working. BC Interruption thinks UMass' long term success will help the Eagles. Since 2010 the Eagles are 30-45 (and six of Boston College's victories are against FCS teams) and 4-12 over the last two years in conference games. It seems obvious that a New England rivalry would help UMass, BC and UConn. All three teams have some circumstances that provide difficulties for their programs. Nothin' is more fun that beating the team of the guy in the next cubicle over. A successful UMass program would provide leverage for both BC and UConn. It's a no-brainer IMHO. Central Michigan hung with Minnesota for most of the Quick Lane Bowl, but ended up with a 14-21 loss. That drops the MAC to 3-4, but still a pretty good showing. James Ihedigbo supports Lions coach Jim Caldwell. Despite the "Dead Period", Bob McGovern report Isaiah Rogers, a 5-11 160 pound DB from Tampa, FL has verbaled to the Minutemen. I've blogged about Rodgers before. Chose UMass over offers from Buffalo and Eastern Michigan. "What is a dead period? prospective student-athletes (see Bylaw 13.02.5.5.2)]: Dead Period"
Mike London former Virginia HC and father of Brandon London has been hired as an assistant coach at Penn State. Article also mentions Don Brown. The MAC's last bowl is today at 5:00 pm when Central Michigan meets Minnesota. NFL Draft Scout has Tajae Sharpe rated #6 in WR's for the 2016 NFL Draft. Fan Sided looks at Sharpe's NFL chances. NFL Draft Geek has a post on Sharpe. The Wall Street Journal says without Victor Cruz, the Giants should have a ton of money to spend on next year's team. 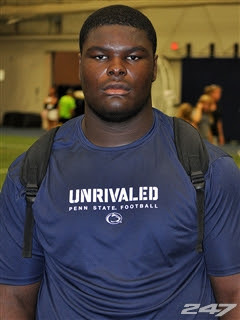 Raquan Thomas, a 6-4 330 pound OT from Philadelphia, PA was one of the players Bob McGovern reported visited UMass a couple of weekends ago. Thomas also holds offers from Georgia and Temple. Western Michigan beat Middle Tennessee in the Bahamas Bowl. Story about the Broncos on the MAC Conference site. So currently the MAC is 3-3 in Bowls. The conference has two upsets and two blow out losses. One MAC Bowl to go: The Quick Lane Bowl in Detroit with Central Michigan against Minnesota. 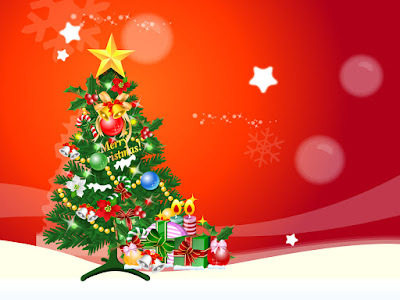 James Ihedigbo finds time to help spread Christmas Cheer. 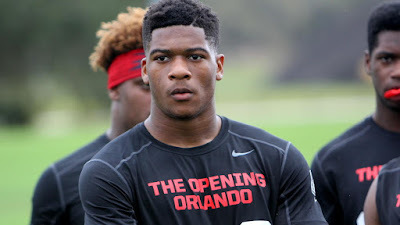 I've blogged about Tyshaun Ingram, a 6-0 180 pound RB from Winter Park, FL a couple of times before. 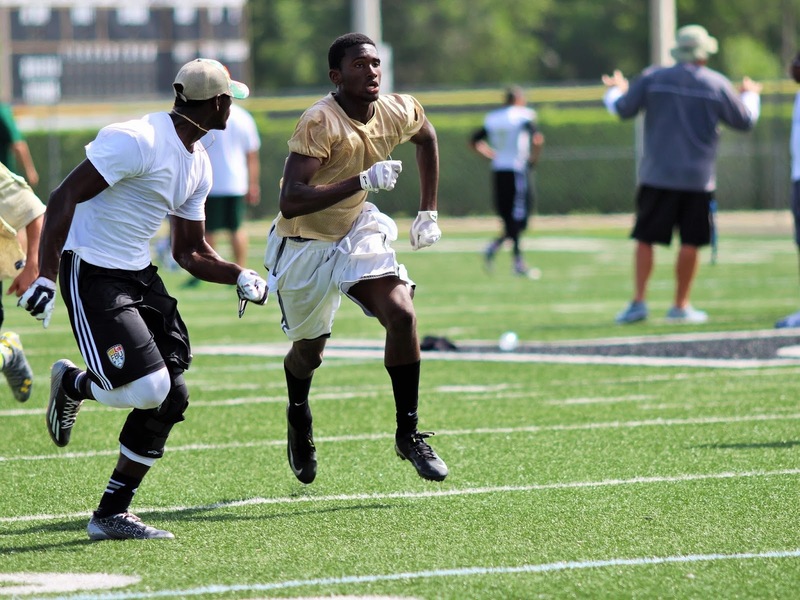 Bob McGovern has a post on Ingram's recruiting. Note that he reports Ingram was recruited as an athlete and could play safety as well. Jim Harbaught trusted Don Brown's record. Boise State annihilated Northern Illinois in the Poinsetta Bowl. Georgia Southern ran over Bowling Green in the Go Daddy Bowl. Western Michigan gets a chance at Middle Tennessee today. James Ihedigbo collects jerseys of players he has been teammates with. Slow news day on the intertubes. Obviously, there's one piece I'm not linking to. Why give them a click? For something good to read, try Dave Barry's Guide to 2015. 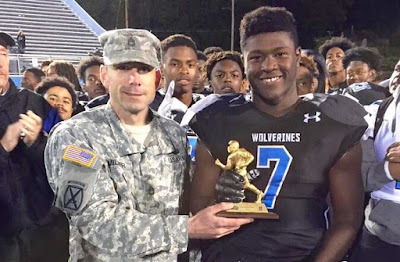 Bob McGovern reported a couple of weekends ago that Jo-El Shaw a 6-1 230 pound Fullback from Pittsburgh, PA visited UMass during a recruiting weekend. This article features Shaw and mentions UMass. Shaw says his recruiting is still open despite his verbal to Western Michigan. Join the Minutemen Jo-El, and be on the field against the Gators on September 3rd. Detroit Free Press says Don Brown's defenses are "crazy". More quotes from former UMass players. MLive has another article about Brown with yet more stories about him from former Minutemen players. Big night for the MAC in bowl games. Akron celebrates its first bowl win in 116 years. Bowden says the win at UMass turned the Zips season around. Toledo was all over Temple's killer defense in a 32-17 win in the Boca Raton Bowl. The Owls had 67 total yards of offense in the first half and the Rockets broke off a number of big plays offensively. Lotsa turmoil in the Gator ranks as one player has been dismissed, one transfers and two under grads declare for the NFL draft. Luke Del Rio, the son of former NFL QB Jack Del Rio could start against the Minutemen. Several news sources report Diondre Champaigne, a 6-3 175 pound WR from South Carolina has verbaled to the Gamecocks. Chose South Carolina over offers from UMass and East Carolina. Winter Solstice occurred at 4:14 UTC. Tomorrow the days start getting longer. We're on our way to the 2016 season! 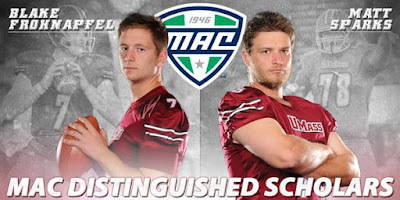 Blake Frohnapfel and Matt Sparks have been named MAC Conference Distinguished Athletes. Announcement from the MAC here. The Detroit News has an article about Don Brown being hired at Michigan. Has lots of quotes from James Ihedigbo and Coach Whipple. More quotes about Brown from iSports Web. BC Interruption mentions former UMass player and coach Ben Albert as a possible replacement for Brown. Two MAC teams play in bowls today. Toledo plays Temple in the Boca Raton Bowl. That should be a good game to watch. Akron meets Utah State in the Famous Idaho Potato Bowl. 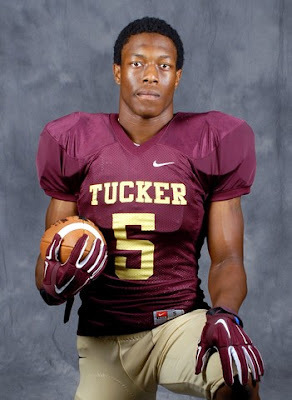 Akeam Peters, a 5-10 191 pound safety from Tucker, GA was one of the players Bob McGovern reported visited UMass a couple of weekends ago. Three star recruit by 247Sports. 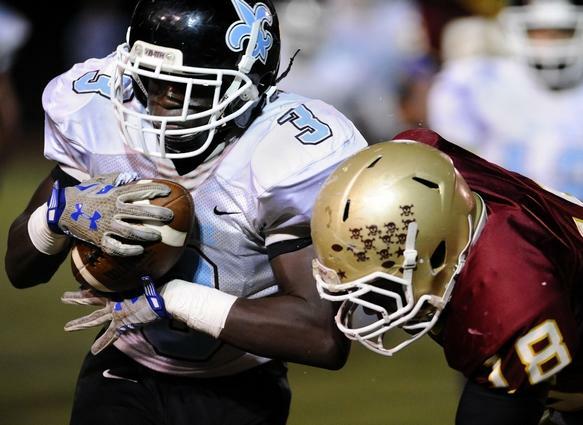 Hudl.com has 2014 video highlights. Peters holds an offer from Marshall. According to many reports former UMass coach Don Brown is leaving Boston College to be the DC at Michigan. Dam Malone has a post. Good move for Brown. He's been a coach all his life and he'll make some big $$ at Ann Arbor. In addition, as Dan Malone comments, he's engineered wins over UMass by UConn and BC. The Minutemen are unlikely to be negatively affected by Brown again. The Berkshire Eagle says Liam Coen is one of the coaches being considered for the vacant HC position at Williams. Ohio lost to old foe Appalachian State in the Camellia Bowl on a last second field goal. MLive.com predicts the results of all the MAC Conference bowls. Speaking of Michigan, 2016 UMass opponent Florida will play the Wolverines in the Citrus Bowl on January 1st. The Gators will be playing without QB Will Grier. 2016 opponent LA Tech blew out Arkansas State in the Carriers New Orleans Bowl Saturday night. 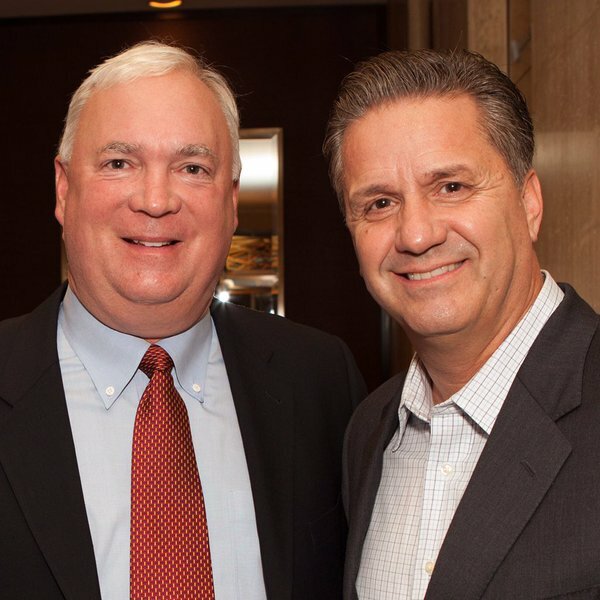 BYU, another 2016 opponent welcomes a new head coach. Bob McGovern reports UMass has picked up its 12th commit as Tyshaun Ingram, a 6-0 185 pound RB from Winter Park, FL has verbaled to the Minutemen. This article from November 2015 features Ingram. "I've heard a lot from UMASS, USF, Middle Tennessee and South Carolina lately," Ingram said to the BisonReport. "None of those have offered yet, but UMASS is really interested, USF wants to do some work with me in person and so does South Carolina and Middle Tennessee. They really like me too. I've camped at Rutgers, FAMU and I plan on camping at South Carolina and also Auburn. 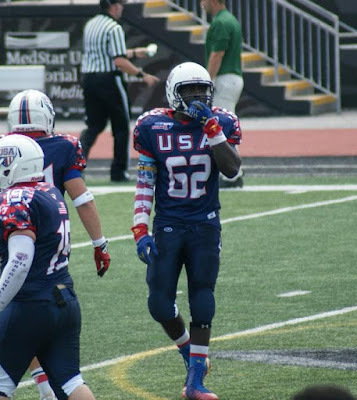 I have offers right now from Bowling Green, Georgia State, NDSU, FAMU and Bethune Cookman." Ingram has FBS offers from Bowling Green, Buffalo and Georgia State. 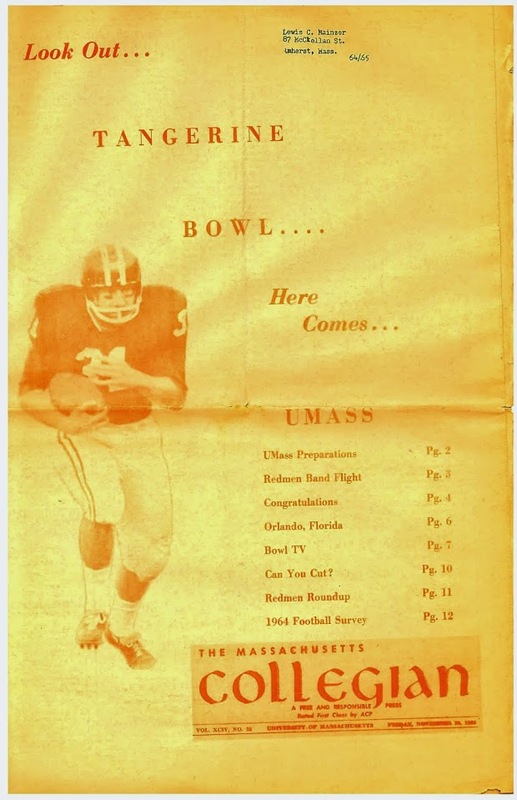 I've blogged about Partick Volcy, a 6-3 190 pond WR/Athlete verbaling to UMass a couple of times before. Bob McGovern reports he has officially signed with the Minutemen. This website ranks Volcy as the #3 rated player in Collier County. Naples Herald ranked Volcy #5 in the County. Hey, it's snowing here in Jaffrey. First snow of the season. It's been weirdly warm so far this year. Last year it was a snow apocalypse all year. Seven Minutemen received All-Conference awards from Phil Steele. 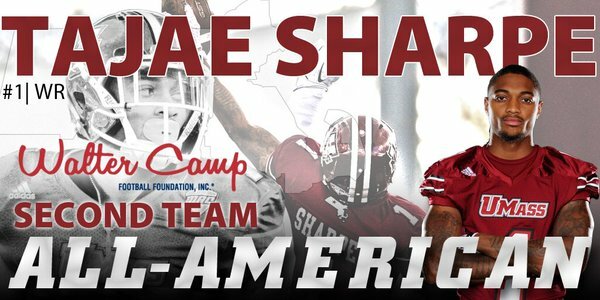 Tajae Sharpe was named an All-American. Marquis Young and Rodney Mills were named to offensive teams and Jovan Santos-Knox, Trey Seals were on the defensive teams. James Oliphant was named to the special teams honor role. All of Phil Steele's MAC selections here. CAA standard-bearer Richmond got smoked by North Dakota State last night. I watched that game and I don't remember the Spiders getting a first down in the first half. Boston College picks up a fifth-year transfer QB as former Kentucky QB Patrick Towles says he'll play for the Eagles. The Salt Lake Tribune says Terry Bowden has made Akron into a winner. UMass picks up a home and home series with Coastal Carolina. This is a good addition by A.D. Bamford. The Chants are another fledgling FBS program. It's a winnable game for UMass. It's far better than another Power Five game. The 2017 schedule is beginning to look attractive for the Minutemen. Hopefully, we can realistically look for a .500 or better season. UMass should be competitive with everyone on the slate except for Mississippi State, Tennessee and BYU. Dan Malone has a post on the series. Bob McGovern has some of the contract details. Myrtle Beach online previews the 2016 Chants. Coastal Carolina also gets a new stadium. Former UMass HC Kevin Morris is being mentioned in Williams coaching search. Mrs Blog and I are seriously thinking about watching UMass play at the Swamp next year. 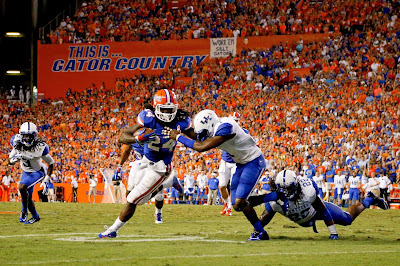 Gator ticket prices are going up. I have a connection with Georgia State. I contribute to a memorial scholarship there. The school thinks I'm an alum and sends me all sorts of stuff. The Panthers, like UMass have struggled since their move to FBS. However, they had a breakthrough win over old foe Georgia Southern and it's energized their program. Bob Mcgovern has a post on 2016 recruits Ali Ali-Musa and Tedrick Lowery signing with the Minuteme (as opposed to verbaling). Letter-of-Intent Day is February 4th, 2016. Now officially signed, both Ali-Musa and Lowery will be on campus for the start of the Spring semester. I originally blogged about Ali-Musa verbaling to UMass back on September 19th. I blogged about Tedrick Lowery's commit on December 9th. On Tuesday I blogged about Cycoby Burch, a 6-1 190 pound safety verbaling to UMass. Hustle Belt has a post on Burch's signing. Burch was ranked #36 in the Orlando Sentinel's 2016 Central Florida Super 60. ESPn predicts bowls with Temple, Toledo and UConn participating. Sports Illustrated picks all the bowls. Fansided ranks all the bowls. UMass has three international players: Fabian Hoeller and Lukas Kotler (Germany) and Travis Reynolds (Australia). Campus Rush says it's a growing phenomena. Victor Cruz collects toys for kids. James Ihedigbo regains his starting spot in the Lions defensive backfield. Yesterday I blogged about James Reilly, a 6-4 285 pound OL from Norwood verbaling to UMass. Hustle Belt has a post about Reilly's commit to UMass. Hudl.com has Reilly running a 4.9 forty---that's good for an offensive lineman. Six UMass players were named to the Academic All-MAC team. 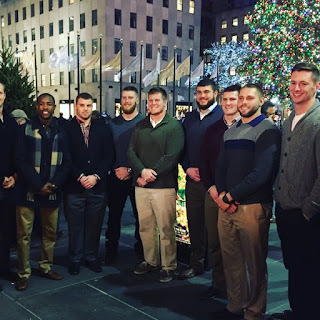 Dan Malone has a post on the UMass All-Academic players. MAC Conference has all the league's honored players. Coach Whipple was at last night's Colonnade Hotel event honoring John Calipari. People talk about our Final Four appearance or beating the #1 team, but I think the most fun occurred when we were on the rise. Mrs Blog and I still talk about parking up by Whitmore and walking through the cold to those 10:00 PM and midnight ESPN games. 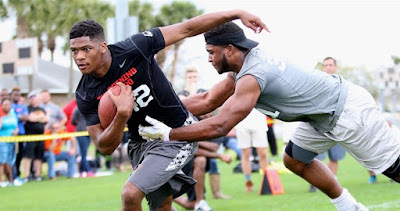 Dan Malone has a post on yesterday's recruiting verbals. Pro Football Focus names Tajae Sharpe an Honorable Mention All-American. UConn has a press release about the newly scheduled game between UConn and BC and UMass. Tulane releases its 2016 schedule and mentions playing at Gillette. 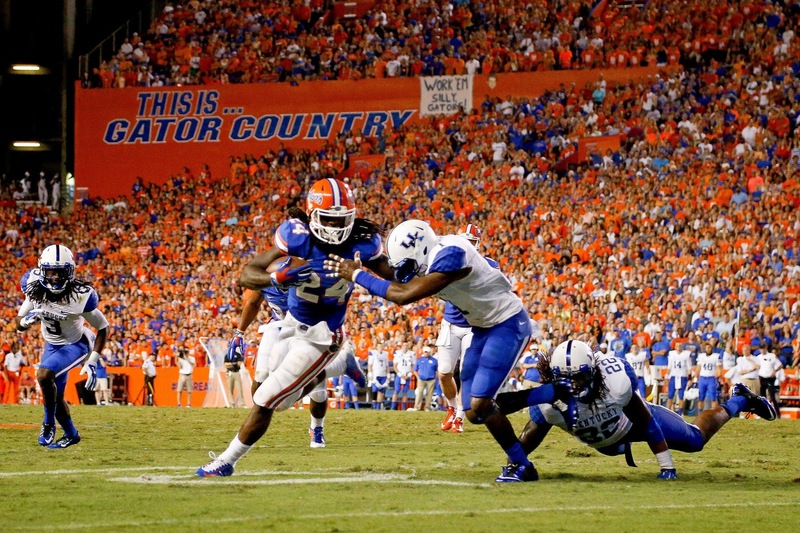 Gator QB Will Grier will be suspended for Florida's game against UMass next September. 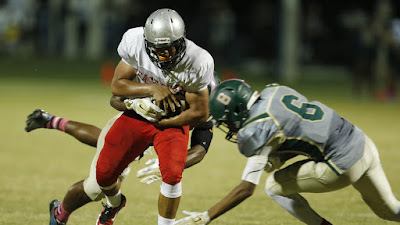 Bob McGovern reports Cycoby Burch, a 6-1 190 pound safety from Oakridge HS in Orland, FL has committed to the Minutemen. Burch was interested in Syracuse before the coaching change. This article from Oakridge features Burch. Burch had 17 offers including Power Five schools West Virginia, Wisconsin, North Carolina, Indiana and Syracuse. 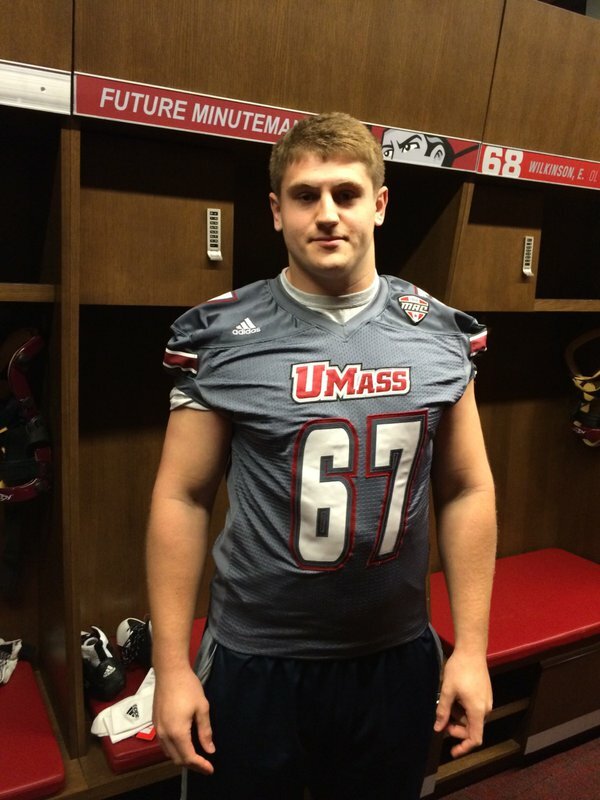 Bob McGovern reports James Reilly, a 6-4 285 pound OL from Norwell MA/Fork Union Academy has committed to UMass. Hudl.com has 2014 senior video. Reilly had eight FCS offers including Maine and UNH. The Idaho Statesman report NIU succeeds the hard way. NIU gets Boise State in the Poinsettia Bowl. If you missed it, Western Michigan RB Jamauri Bogan was named the MAC's Freshman-of-the-Year. Bogan went 143-836 5.8 AVE 12 TD's LONG 76. Marquis Young went 152-960 6.3 AVE 7 TD's 80 LONG. Hmmm, who do you thing deserved the award? Team Speed Kills predicts all the Bowls. 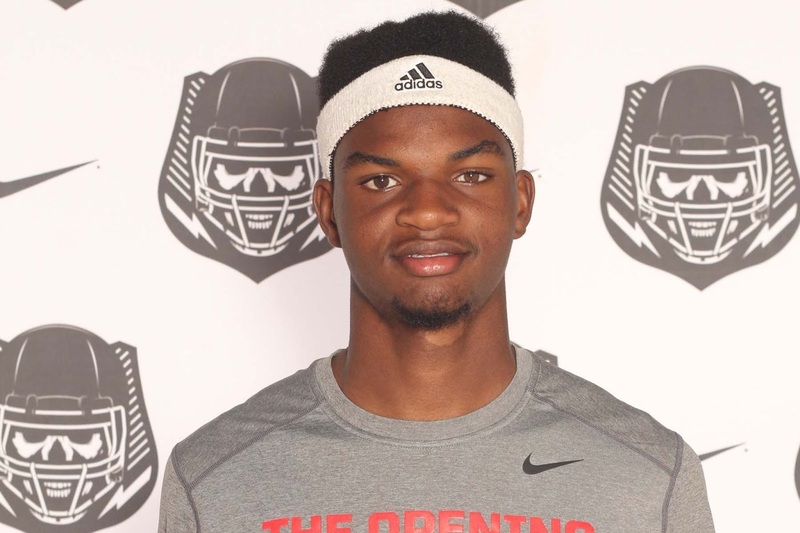 UMass' 2016 foe Florida moves into recruiting class' top spot. Several recruiting sources report Anthony Johnson, a 6-3 185 pound CB from Eculid, Ohio visited UMass two weekends ago. Teammate of UMass verbal Sharif Saleem. Johnson has offers from seven MAC schools as well as Kentucky, Cincinnati and Illinois. The Waterbury Republican-American says Yankee Conference Football ahead? The Middletown Press says the renewal of old-time New England rivalries was long overdue. Tajae Sharpe makes Notre Dame's "game wrecker" list. The MAC's announcement on Sharpe being named to the Walter Camp All-American list. Sharpe did not make the AP All-American teams. When you're 13-0 and rated #1 your fans are energized. A group of Tiger fans want to crowd fund Clemson players. NCAA.com looks at the college bowls and predicts 2016 UMass opponent BYU will defeat Utah. Several sources state Sharif Saleem, a 6-6 255 pound DE from Eculid, Ohio has verbaled to UMass. Special thanks to the Blog reader who sent me this link about Saleem's commit. Previously verbaled to Bowling Green prior to the coaching change. Teammate of three-star CB Anthony Johnson who also visited UMass last weekend. Choose UMass over offers from Bowling Green and Kent State. Dan Rubin of BC Interruption comments on the future UMass-UConn-BC series. BC Interruption wonders if UMass-BC could be played at Fenway Park. Bob McGovern of Maroon Musket has the contract details from the series. The Berkshire Eagle also has a post on the new series. Today's U says the series will give New England college football a boost. UMass has announced it's 2015 Hall of Fame class. Bubba Pena was one of the best OL ever to play for UMass. He won letters in 1969 and 1970. He was a member of several All-New England and All Yankee Conference teams. Doug Clark is mostly remembered for his success with UMass baseball, but he was a dual-sport athlete and won letters as a WR for the Minutemen in 1995, 96, and 97. UMass has finalized the series with UConn and BC. Dan Malone also has a post on the future series. 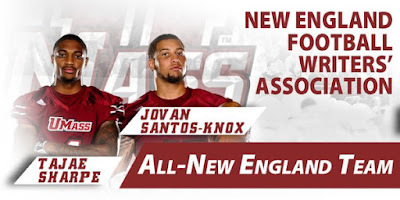 This is great for UMass and New England football. The Hartford Courant has a post. So does the Boston Globe. The UConn Blog has a comment. Tajae Sharpe has been named a Walter Camp 2nd team All-American. Dan Malone reports Sharpe was one of only five Group-of-Five players included in the All-American group. Matty Vautour also has a post about Sharpe and the future schedules with BC and UConn. No news about UMass QB James Sosinski walking on the basketball team. ESPN ranks Boston College as the toughest recruiting sell in all of Power Five football. Victor Cruz collects toys for a holiday toy drive. 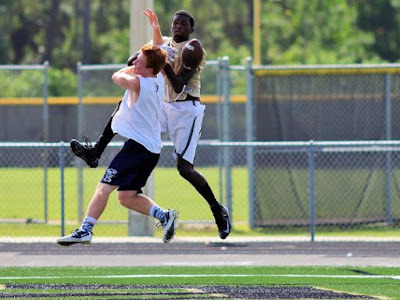 I've blogged about Thomas Geddis a 6-3 170 pound WR from Pampano Beach Fl before. Geddis was one of the players Bob McGovern reported visited UMass last weekend. Hudl.com now has his senior highlights. Geddis has 19 FBS offers. This article says UMass, Temple, Toledo, South Florida, Cincinnati and Wisconsin are the top of his list. at UMass has prepared you for that job? There's a podcast interview with Tajae Sharpe here. Sharpe also has an open letter of thanks to the UMass Community. Sharpe is a class act and he'll either be in the NFL or be coaching in it someday. Dan Malone has a post on Sharpe's letter. Dan continues his series with A.D. Ryan Bamford about Big 12 expansion and more. A Syracuse blog thinks Dino Barbers will give the Orange an advantage in Northeast recruiting. Note that the UMass offense (in what everybody thought was an off year) was the top offense in the Northeast. Sports Illustrated looks at the non-Heisman college football awards for 2015. Bob McGovern reports on his Twitter feed Tedrick Lowery, a 6-0 225 pound Safety from Tyler Junior College has verbaled to UMass. This article features Lowery signing with Tyler Junior College. 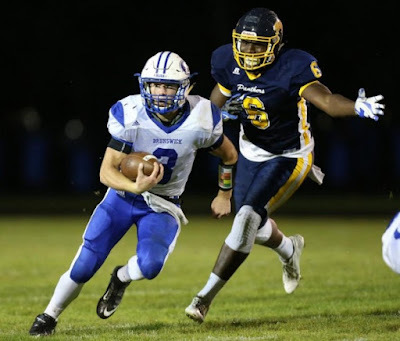 "He won four awards this year, including First Team All State defense, one of the best defense backs in all of state, honorable mention runner back, All District defense, and MVP Offense for district. " UPDATE: Bob McGovern has a post on Lowery's verbal. 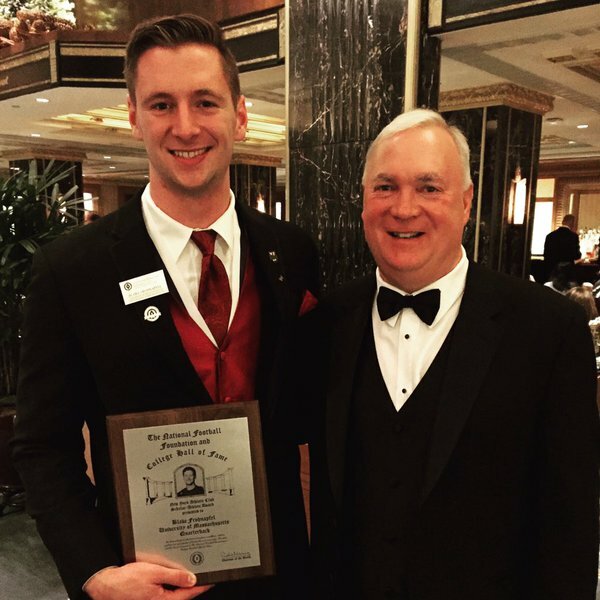 Oklahoma's Tyler Darlington won the Campbell Trophy at last night's NFF Award dinner. Blake Frohnapfel was one of the other scholar-athletes honored. Lot's of heavy hitters in attendance. Dan Malone looks at UMass' new life as an independent. Bamford has previously Tweeted that financial life after the MAC will not be that much different. UMass will lose a league share, but also will not have to pay league dues and any TV money will not have to be split with the other MAC teams. Dan also reports Bamford has found a replacement for UConn in the 2017 schedule. You will remember UMass brokered a deal allowing UMass, UConn and Boston College to start playing each other yearly. Dan reports Bamford says Coach Whipple is not on the hot seat. Don Brown was named the AFCA Assistant Coach-of-the-Year. The Testudo Times says Brown would be a good fit at Maryland. MLive says James Ihedigbo will probably be on the bench against St. Louis. Victor Cruz shows off his sneaker closet. Patrick Volcy a 6-3 185 pound WR from Naples, Florida has announced he's verbaled to UMass. I've blogged about Volcy before. Hudl.com has his senior highlights. This article from August 2015 features Volcy. MaxPreps has his senior stats. Chose UMass over offers from UConn and Appalachian State. Blake Frohnapfel, Tajae Sharpe and Jovan Santos-Knox received awards from New England Football writers. Blake Frohnapfel in NYC for the NFF Network Scholar-Athlete Awards dinner. UPDATE: All-day video from ESPN3 covering the various activities of the event. Hustle Belt looks at the seven MAC bowl games. They also consider the gifts the players receive for playing in the various bowls. The NY Daily News recounts Victor Cruz's 2011 99-yard TD catch that changed the Giants season. I've blogged about Eron Carter before. Bob McGovern reports that Carter was one of 12 players who made a visit to UMass this weekend. Carter is a 6-2 220 pound OLB from Palatka, FL. All-District and All-State throwing the discus. Carter has 16 offers including Air Force,Army, Troy, Western Kentucky and UCF from FBS teams. Coach Whipple's last video to the Gridiron Club has some news. He said recruiting is going well. In addition, he says L.A. Love is joining the UMass football development office. L.A. Love won letters in 2001, 2003 and 2004 as a LB and DE for the Minutemen. He previously worked with the University of Arkansas and Texas Tech. I blogged about him back in 2005. In 2003, when UMass played at Kansas State, Mrs Blog and I sat with a bunch of L.A. Love's relatives who had made the trip up from Texas to see him play..
Temple lost to Houston Saturday in the AAC Conference Championship game. All this year's bowl match-ups are out. Notre Dame gets Ohio State on New Year's Day. Temple plays Toledo in the Boca Raton Bowl. The MAC received seven bowl bids. Only Richmond from the CAA made the quarterfinals in the FCS playoffs. Colgate upset James Madison to advance to the FCS quarterfinals. First Team All-Western Conference American Division at DB. Rogers also has an offer from Buffalo. Matt Sparks will one of the athletes featured in this week's UMass Insider. Philly.com has the blocked extra point at UMass as #1 in the top ten plays for Temple in 2015. Campus Insiders predicts the MAC bowl participation. Bowling Green beat QB-less NIU 34-14 to win the MAC championship last evening. Dino Barbers, the HC of the Falcons, is being mention for the open job at Syracuse. Remembering Victor Cruiz's epic 99-yard TD from the last Giants-Jets game. 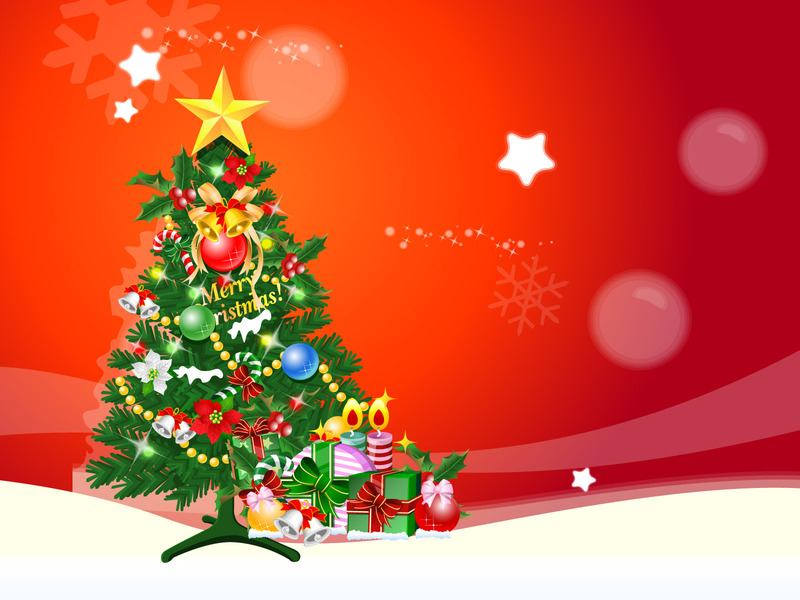 Click on the image and Blogger displays a large view. Dan Malone reports Blake Frohnapfel has accepted an invitation to appear in the East-West Shrine game. However, the "Acceptances" page for the East-West Shrine Game lists both Blake Frohnapfel and Tajae Sharpe as playing in the game. The 2016 "Game Week" page has all the media information for the Shrine game. Roto World also has a post on Frohnapfel's playing in the Shrine Game. Draft Season interviews Tajae Sharpe. DraftSeason: You have left your mark on the UMass record books, what is your proudest achievement during your career? Tajae Sharpe: My proudest achievement while at UMASS has nothing to do with any record that I’ve broke, but everything to do with our brotherhood as a team itself. The class I came in with, we had a rough journey through those 4 years and a lot didn’t go in our favor. Some players we came in with and grew close to transferred for different reasons, some quit and gave up on us, but I’m most proud of the players who stuck it out through thick and thin and who showed up every single day wanting to get better and continued to focus on trying to win games. For that we’ll have a bond forever that can’t be broken. The Courier says familiar foes are in the MAC Championship game tonight. Las Vegas has Bowling Green by 12.5. Because a walk-on freshman QB will taking snaps for NIU. Six UMass players were named to MAC All-Conference teams. Minutemen fans will take particular satisfaction in Logan Laurent being named 3rd team All-Conference punter. After four year of struggles, special teams got better. Dan Malone has a post on Tajae Sharpe playing in the NFLPA college bowl and the All-Conference awards. Bob McGovern also has a post on the All-Conference awards. All the MAC awards here. Western Michigan is going to the Bahamas Bowl. Three running backs have left Boston College. 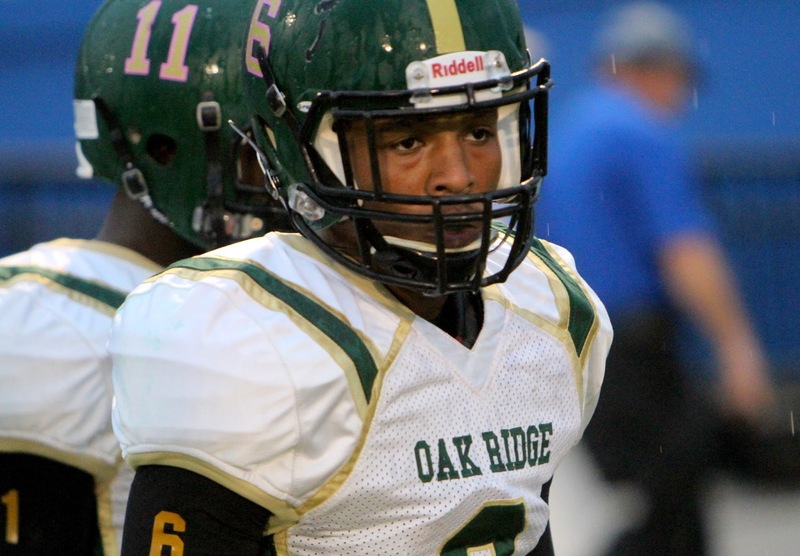 One of them, Marcus Outlow, received offers from Ohio State, Clemson, Florida and others. Lots of moves in the coaching carousel. Mike London, the father of former UMass player Brandon London, resigned at Virginia. UMass senior center Matt Sparks was named co-UMass Fall scholar-Athlete. Matty Vautour looks at next year's replacements for the graduating seniors. The three positions the Minutemen should see big changes are quarterback, TE and WR. On TE, UMass does not have a blocking TE on the roster. Travis Reynolds seems to be a good athlete, but the Minutemen need recruiting help big time in this position. For WR, UMass is better stocked, but do they have a feature "X" receiver? Hawaii transfer Darren Josey and FR Lamarriel Taylor have potential. Jalen Williams and Shakur Nesmith are probably the top returning receivers. UMass signed two players in 2015 who ended up in Prep school: Artayvious Lynn and Sam Franklin. Whipple has said he would still like both to attend UMass. Matty also looks at next year's defensive team. The defensive front seven needs recruiting priority. Jake Largay 6-6 310 is the only NT on the roster. The Register-Star remembers former UMass QB John Kraham. The win over Buffalo moved UMass out of CBS Sports Bottom-25. Keeper's College football rankings has UMass as #107 (.htm down load). Note the Minutemen's relatively high strength-of-schedule. Boston College is ranked #90 despite two of their three wins came against FCS teams. Hustle Belt looks at the NIU-Bowling Green MAC championship game. 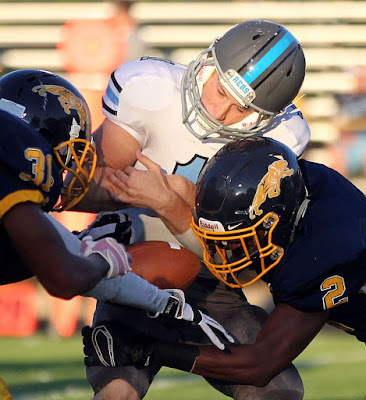 Bob McGovern reports Jaquan McCullough a 6-0 200 pound JUCO WR/DB/Athlete from Erie Community College has verbaled to be a recruited walk-on. I've blogged about McCullough before. Cousin of UMass RB Marquis Young. Click on the image and Blogger displays a larger view. Marquis Young was named the MAC East offensive player-of-the-week. Dan Malone has a post on Young being named MAC player-of-the-week. Young's 960 yards is the most for a true freshman since Steve Baylark. His 6.3 yards/game average just missed being one of the top-ten single season totals (Ron Brockington was #10 at 6.31 yards/game in 1996). 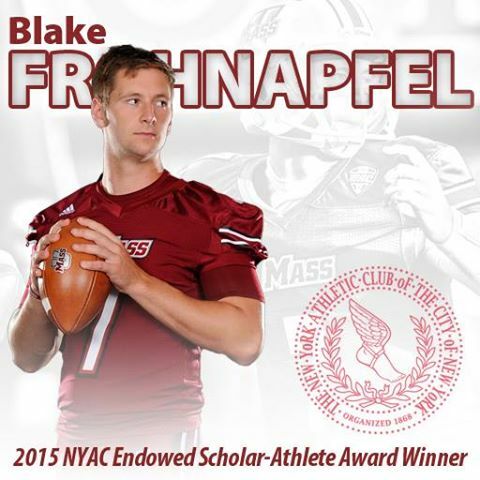 Blake Frohnapfel won the NY Athletic Club Endowed Scholar-Athlete Award. Matty Vautour looks at the Minutemen's future as an Independent. Tajae Sharpe has accepted a invitation to play in the NFLPA College Bowl. NFLPA College Bowl home page here. Thanks to a blog reader who alerted me to this Bleacher Report post on Sharpe. Dan Malone looks at four losses that kept UMass out of a bowl game this year. I think the turning point came in the Ball State game. UMass had a large number of injuries (including probably Frohnapfel) and was never the same.